Don't let nerves get the best of you. Here's how to handle your very first consultation like the pro you are. Like any “first,” your first client consultation as an elder law attorney can feel intimidating. After all, as the saying goes, you never get a second chance to make a first impression. But before you let your nerves get the best of you, remember that simple preparation is the key to nailing that first client meeting. Setting the stage for a successful first meeting begins long before your client ever sets foot in your office. A well-executed client intake form is key. Getting the right information from your client will make all of the difference in building rapport and gaining the trust you need to make the initial consultation more comfortable for both of you — and more productive. By asking the right questions, as well as some unconventional ones, you can learn a lot about the client early on. You may be thinking, “But no one ever fills out that form!” True. That’s why you’ll need to think creatively and come up with a compelling incentive that will entice your clients to complete your intake form. Perhaps a discount on their initial meeting or a freebie of some sort? However you approach incentivizing your client, it’s important to communicate to them that successful planning will require commitment, on both your part and theirs, and that begins with the intake form. What kind of info should you request before that first meeting? Now you may be wondering what kind of information you should request in the form to aid you in a successful first meeting. While basic information including client assets is a given, you should also make sure to introduce some questions that are a bit more personal. Consider asking about grandchildren and hobbies, for example. This combination of information can be very telling and it can also be used as a roadmap to guide that first conversation. These types of questions allow you to connect on a more personal level to build a relationship with your client. General Information - Date of birth, contact information, state or states of residence, information about current and past marriages, etc. Benchmark/Background Information - Ask your client for a copy of any existing planning documents, and anything else that will help you establish what planning may already be in place. Goals/Intentions - Include questions about what is important to them, what specific concerns they have, and what they ultimately hope to achieve by putting a plan in place. 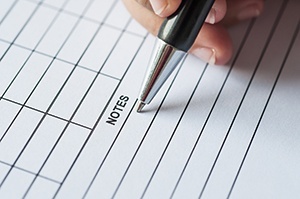 You can format this as a section of statements and allow your clients to check those that apply to them (for example, “I never want my children to have to pay for my long-term care.”). 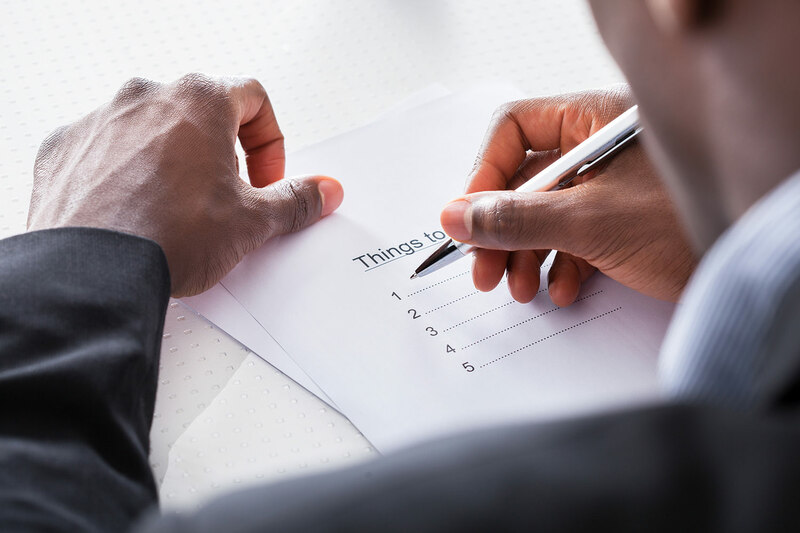 This format can be less intimidating than asking the client to list things on their own, and therefore increase your chances of obtaining this important information. Hobbies/Passions - What is important to the client? What charities or causes are they passionate about? What do they love to do in their free time? Assets - This is where you can ask the client about life insurance policies, retirement and investment accounts, properties, or businesses they might own. Children/Dependents and Grandchildren - This section should include basic questions about the ages of the client’s children, where they live, and to list any pertinent information about the children that will be relative to their potential role in the client’s estate planning. This is also where you can ask about grandchildren or any other special family members, including names and ages. By nature, elder law raises some uncomfortable questions and issues. Armed with the above information you’ll be able to have a more personal and meaningful conversation, and show the client that you’re interested in getting to know them and serving their needs. Some of the anxiety around an initial client meeting can be lessened simply by knowing what to expect once the client walks into your office, so let’s consider a likely scenario. Estate planning is often a family affair. That means you won’t just be talking to the client, and that one or more family members will probably be part of the conversation. 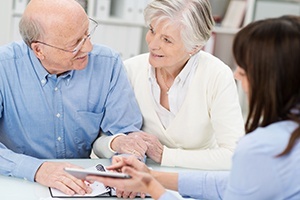 Your clients and their family member/s may be nervous or uneasy in dealing with legal issues in any case, but this anxiety can be compounded when discussing issues about long-term care, wills, and final wishes. They will look to you to guide the conversation in a manner that is comfortable and non-intimidating. Your legal knowledge — at least initially — should take a back seat to your bedside manner. Using a lot of legal jargon with a senior for example, will immediately create a disconnect. You need to be able to communicate complex topics clearly. Your tone should be such that your client sees you as both sincere and knowledgeable. Convey that you possess the knowledge to educate your clients on all of their options and that it’s your desire to advise them of the decisions and plans that are in their best interest. Ultimately, the more thorough you are in obtaining the information beforehand, the more you’ll be able to customize the consultation to the client’s specific needs and goals and to establish a good relationship from the start. This will allow you to easily find the common ground to connect with your client and speak his or her language. Once you begin doing so your anxieties will subside, and before you know it you’ll be a pro at the initial client consultation. Learning how to get the most out of those initial client consultations will be key to your success as an elder law attorney for the long term. For more tips and tools to help you establish elder law client relationships, contact ElderCounsel today.